Great Lakes Seaway Trail, NY and PA – Winter along the Great Lakes Seaway Trail National Scenic Byway offers unique birdwatchers opportunities to espy feathered fliers along the freshwater shoreline of New York and Pennsylvania. 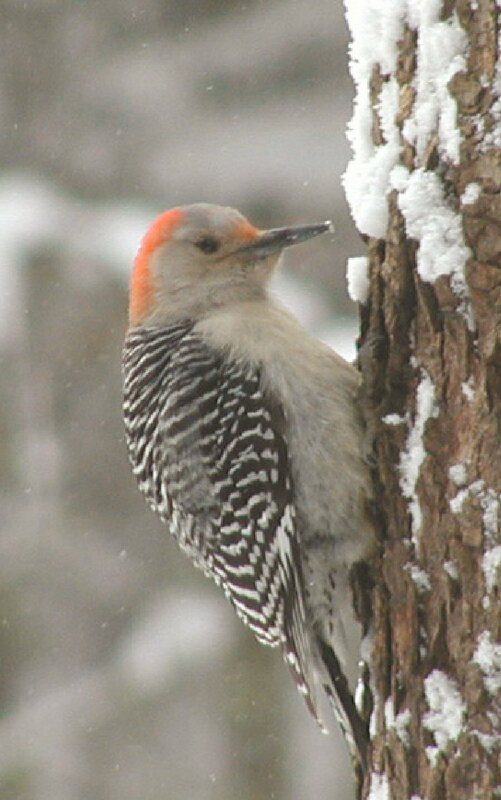 The 518-mile region’s coastal areas along the St. Lawrence River, Lake Ontario, Niagara River, and Lake Erie are atwitter with a diversity of birds throughout the cold season while it bare-branch hardwood forests offer unobstructed viewing of winter fliers. Free resources for birders include a species checklist, fact sheet and site listings at www.seawaytrail.com/birding and a 17-stop Great Lakes Seaway Trail birding travel itinerary at http://www.seawaytrail.com/roadtrips/. Among the species frequenting Great Lakes Seaway Trail byway locales are Bald Eagles, Tundra Swan, Purple Sandpiper, mergansers, scaups, goldeneyes, and many species of gulls. Hot spots include the open water outlets of major rivers and near the warm water discharges of power plants at Lewiston, Oswego and Massena. Common Goldeneye and Common Merganser like Lake Erie in winter, while gulls and waterfowl abound along the Niagara River. The Niagara Gorge area is one of Audubon New York’s Important Bird Areas. February can be a good time for breaking out the binoculars along the western end of Lake Ontario to see scaups, scoters, and mergansers and maybe a King Eider, while birders raise high-powered lenses for Horned Lark, Common Redpoll, Long-tailed Duck, and grassland raptors from Sodus Bay east to Cape Vincent. The diversity of winter fliers along the Salmon and St. Lawrence river and in the 1000 Islands section of the Great Lakes Seaway Trail includes eagles (thanks in part to a New York State Department of Environmental Conservation restoration effort), larks, Snow Bunting, Common Goldeneye, Greater Scaup and Iceland Gulls. Great Lakes Seaway Trail “outdoor storyteller” signs by noted wildlife artist Robert McNamara are posted 24/7 at significant birding locations. McNamara designed and illustrated the Birding the Great Lakes Seaway Trail authored by ornithologist Gerald “Gerry” Smith. Available from the nonprofit Seaway Trail Foundation, Sackets Harbor, NY, the guidebook makes an excellent birding travelers’ companion with site descriptions, maps, and charts. Among the Great Lakes Seaway Trail sites for indoor and outdoor birding are the Tom Ridge Environmental Center at Presque Isle State Park, Erie, PA; and in NY, Jamestown Audubon Nature Center and the Roger Tory Peterson Institute of Natural History, Jamestown; Tifft Nature Preserve, Buffalo; Aquarium of Niagara, Niagara Falls; Lakeside Beach State Park, Waterport; Seneca Park Zoo, Rochester; Chimney Bluffs State Park, Wolcott; Sterling Nature Center, Sterling; Sandy Pond Beach Unique Area in Oswego County; Black Pond Wildlife Management Area, Henderson; Chaumont Barrens, Chaumont; and Sparrowhawk Point, Ogdensburg.